At the top of the list is Profile single speed rear hub. If you are looking for a rear hub which is easily serviceable and gives you lots of options then the Profile rear hub is for you. 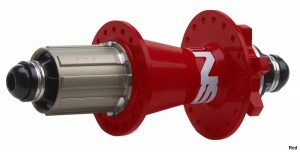 The profile rear hub comes in 36h and you can change the internal parts like drivers axles and bearings. This is great if you are considering making your dropouts slightly bigger to accommodate a 14mm spec axel. You can also a minimum of 9t to what ever you like at the rear so it also gives you plenty on options there. The Chris King single speed disk hub has been designed especially for single speed street bikes, and is our favourite rear hub on this list. The Chris king single speed rear hub has a cassette mechanism built on to Chris Kings patented RingDrive™ system. This single speed rear hub is built to with stand absolutely everything your can throw at it. Its not to heavy either at 322g and also comes with a whopping 5 year warrantee, so if you’re a hard rider this is the hub for you. Fun Bolts™ which are hollow, stainless steel bolts which weigh around 42g each are standard on the rear single speed hubs and finally the Chris King single speed rear hub comes in 32, 36 hole with a rear axel length of 135mm. 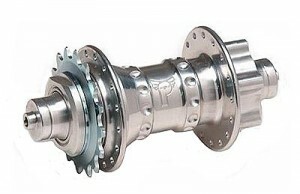 If you are looking for a hub to run a few gears on then we would highly recommend the NS Rotary cassette hub. The NS rotary rear cassette hub is perfect if you are not running horizontal dropouts as this hub has been designed to work on both horizontal and vertical dropouts, which is great news. NS bikes have taken a lot of time and consideration in the design of this hub as the bolts are designed to have flat heads so the don’t stick out as far to the don’t bite you on the ankle. The Rotary is one of those hubs that has been built to try and accommodate for all styles of riding and it does pretty well, its light enough for 4x and trials but also strong enough for street riding and dirt. It’s a sealed rear hub which has 4 sets of bearings and features an oversize alloy axle, and just to add a little bit extra strength it has steel inserts. Total weight of this hub is 370g a little heavier than the chris king but remember there is additional weight because of the cassette. The ever popular orbital single speed hub hasn’t changed at all for a couple of years and has continued to perform well, and is available in a few great looking colours as well. The Orbital is available in 32h , weighs 325g (with out the freewheel weight) and comes with a 14t black freewheel. We have however heard from and experienced for ourselves that the freewheel that does come with this hub does not last that long, which is a real shame, but not to worry grab yourself a ACS claw freewheel and it will work (and sound) amazing! 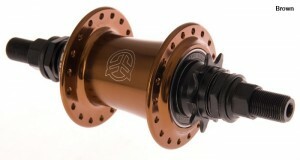 This is a bomb proof dirt jump specific rear hub from Sun Ringle. Sun Ringles products are used by some of the best riders in the world and this hub has been devoted around their team of pro riders to basically give them what they want! 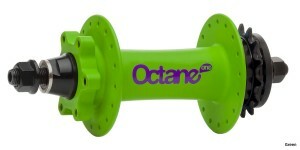 This is another cassette specific rear hub for those who want to run gears on their bikes. The Sun Ringle dirt jump cassette hub is a great hub and is made from the very best hard wearing, but lightweight T6 Alloy with a chromoly Alloy Axle. The hub weight isn’t to bad either with a gross weight of 422g which includes the spaces and the cassette weight. For the money you do get an awful lot of hub for you money at around £180 is isn’t going to break the bank! If your thinking of buying a rear hub that will also help you to pull of a whole bunch of new tricks then you need to think about getting one of these! The V2 Freecoaster Hub is one of the best hubs currently out there and it is more than capable of handling everything you can throw at it when street riding. The Freecoaster is also completely adjustable without having to take the wheel out to do so, it allows you to manually adjust the amount of gap easily by using an Allen key (hex key) placed into the end of the axle to adjust the gap. Another great feature of the V2 Freecoaster hub is you can choose whether to run the rear sprocket on the left or the right hand side. So if you are running pegs or you pedal grind on one side, you can place the sprocket side of the hub on the opposite side so it doesn’t get damaged. 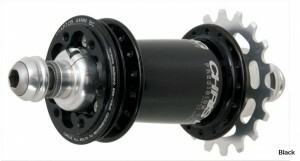 This hub is available in 36h and comes with a 14mm hollow axel.